College Speaker, Nathan R Mitchell (MBA, CPC), launches new website targeted at providing colleges, universities, and student activities coordinators the information they need to make an informed decision about bringing a public speaker to campus. Nathan R Mitchell is one of America’s most authentic speakers. He is passionate about his subject, and passionate about helping your students!” - Rick Barnes, Nationally Known Speaker and Owner of Rick Barnes Presents, Inc.
Nathan R Mitchell (MBA, CPC), Founder and President of Clutch Consulting, is an accomplished and sought-after business consultant and college speaker. Through the use of humor, personal experience and quality content, he empowers college students to find their passion, make a difference, and ultimately succeed. He delivers his impactful messages in an authentic way that is well received. His programs and presentations can be delivered to a variety of audiences, and are customized to fit each organization’s unique needs. They are empowering, insightful, and designed to impact. Backed by more than a decade of experience in corporate leadership, higher education, and professional development, Nathan is very knowledgeable on the programs he delivers. Most recently, Mitchell announced the launch of his new and improved site NathanRMitchell.com. The site’s user-friendly interface, improved navigation, and informative content gives colleges, universities, and student activities coordinators the information they need to make an informed decision about bringing Mitchell to their campus. In February, Mr. Mitchell was invited to speak at the Northeast Greek Leadership Association annual conference in Hartford, CT and he will soon be speaking at the Southeastern Panhellenic Association conference in Atlanta, GA.
His most booked program “Self-Leadership: Getting What You Want by Doing What Others Won’t” gives students the “nuts and bolts” of effective goal setting and self-leadership, as well as the tools and resources they need to create a winning game plan for their college career and beyond. Mitchell holds a Bachelor of Science Degree in Entrepreneurship, an MBA from Missouri State University, and a Certification in Professional Coaching (CPC). In addition to his strong foundation in academics, Nathan also has “real-world” experience in many aspects of Business Management and Leadership due to his decade of experience in Operations Management with a Fortune 50 company. 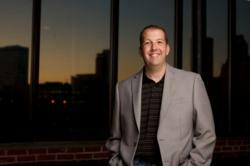 He is also a member of the APCA and the Association of Fraternity and Sorority Advisors. 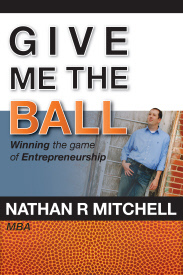 He is the author of the Brian Tracy endorsed book “Give Me the Ball! Winning the Game of Entrepreneurship,” and is currently working on his second book “Driving Excellence: Solid Growth Through Strategy and Employee Engagement,” which will be available later this year. Nathan and his wife, Sarah, live in Broken Arrow, OK with their two children. He enjoys exercising, spending time with family, watching sports, reading, and furthering professional, business, and leadership development, both personally and professionally.